Going In Style carries the ever so popular Donatella style raincoat in extended sizes 1 x and 2 x. Mycra Pac Donatella style raincoats have a swing style cut leaving plenty of room through the waist and hips. Extended sizes of the Donatella Mycra Pac Raincoat are now available for lengths Mini, Short, Tea and Long. Going In Style has a size chart available for the Donatella plus size raincoats. Measurements are of the raincoat itself, not body measurements. Going In Style recommends taking a well fitting coat that you already own, laying it flat out on your bed, and comparing coat measurements to find the right size and fit for your Mycra Pac Raincoat. 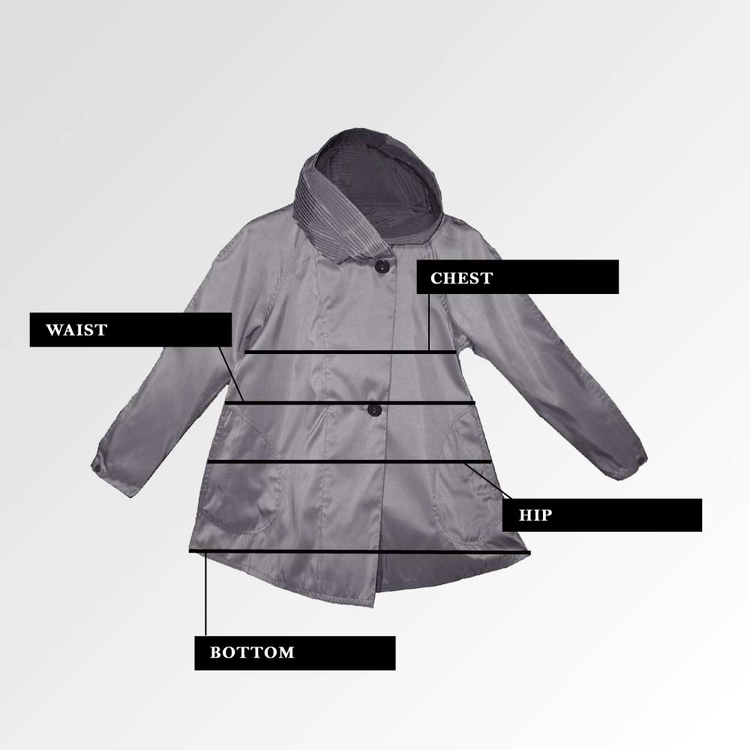 Donatella Extended Size Chart 1X and 2X Sizing Guide features the mini size raincoat. Measurements for the mini length sleeves, chest and waist will be the same as the other Dontella lengths (Short, Tea, and Long). However, the measurements for the length and bottom will vary for the different lengths of Donatella Mycra Pac Raincoats.